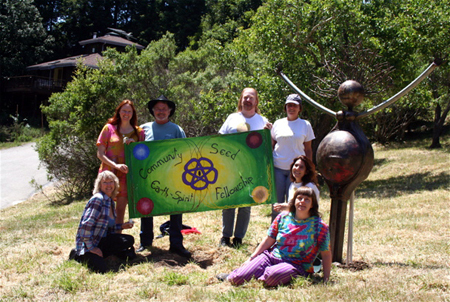 Anyone can address the Community Seed Board of Directors at their monthly meetings. Just send us a note at info@communityseed.org with what you’d like to discuss with us, and we’ll put you on the agenda! Board Meetings happen the first Wednesday of every month, at 7pm in Scotts Valley. Email us at info@communityseed.org or call us at (831) 469-0336 – we’d love to hear from you! Amanda, Angus, Marjorie, Steve, Skot, David, Anita, Matthew and Willow! Find out about our Ritual Events by signing up for our newsletter.